I live in Vancouver, Canada now, but I grew up on the cold Canadian Prairies. Perhaps because of that I was fascinated as a kid by the warm and exotic sugar islands of the Caribbean. When I got older I devoured novels in the age of sail genre set in the area, hooking me in turn on the history of slavery, life on sugar plantations, and the colourful characters populating this era. 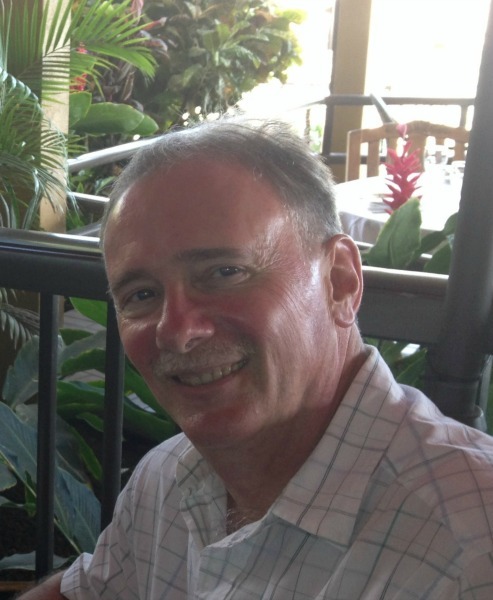 Given all this it is no surprise my historical fiction Evan Ross Series takes you there, focusing primarily on shore-based action, intrigue, and history involving Commander Evan Ross. As for The Stick Bug Stories, I kept hearing news items in the media of people abandoning their pets. Trying one day to fathom how that could happen, I began wondering what happens to pets people abandon in the forest and the stories were the result. What happens when people abandon their pets? 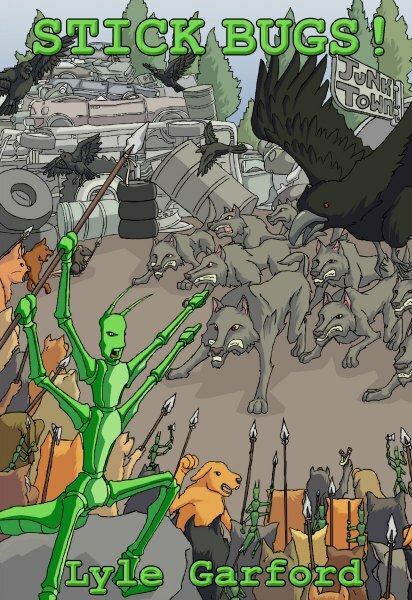 When Sticks and his stick bug family are abandoned in the scary, unfamiliar forest survival is a desperate struggle until they find Junk Town, a junkyard serving as home to a host of other abandoned pets. Sticks and his family work hard and have fun building a new life in Junk Town, but predators are everywhere. Sticks and the Junk Town animals repeatedly fight off attacks from wolves and crows, but the frustrated predators are determined to overwhelm the desperate defenders. Sticks and his friends must fight back, winner take all! 'Stick Bugs!' 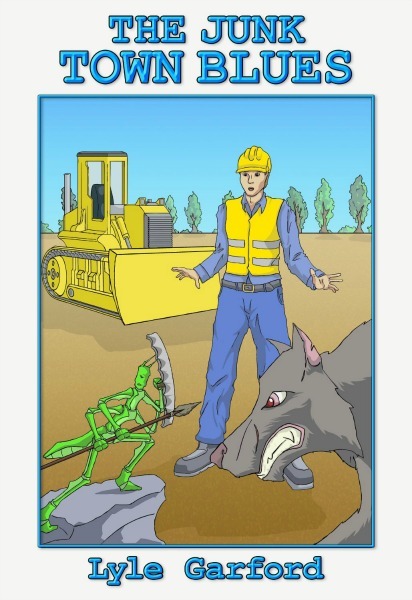 is the first book in The Stick Bug Stories and is children's fantasy reading suitable for young readers age 8 and up. The stick bugs and their abandoned animal friends in the junkyard defeated the predators in the Battle of Junk Town and their problems are over. Or are they? The crafty predators are again testing the Junk Town defenses and looking for weak points. Sensing another plot to overwhelm the desperate defenders Mayor Sticks and his friends must fight back. But it's a battle on two fronts when the new human owner arrives with big changes planned for Junk Town. The abandoned animals are in a desperate fight to keep their home and survive! 'The Junk Town Blues' is the second of three books in The Stick Bug Stories and is suitable for young readers age 8 and up. In 1784 when Lieutenant Evan Ross is badly injured in a fight with British Royal Navy deserters his Captain abandons him in the Royal Navy hospital on the Caribbean island of Antigua. Upon recovering he meets Captain Horatio Nelson, newly appointed to command of the Northern Leeward Islands squadron and the Royal Navy Dockyard at English Harbour in Antigua. Nelson's primary task is stamping out rampant American smuggling activity. But to succeed, Nelson needs information. Lieutenant Ross serves as a spy for Nelson against the smugglers, but they aren't his only foe. French and American spies supporting the smugglers are playing for far higher stakes, sowing the seeds of violent unrest. Lieutenant Ross is soon in the midst of desperate action and working with a beautiful slave woman to gain information as he struggles to stop to their plot. 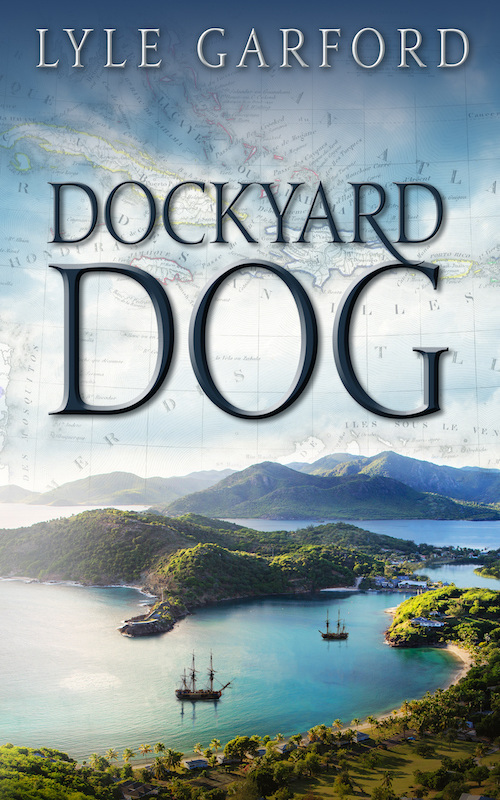 Dockyard Dog is the first novel in the Evan Ross series. Fans of age of sail nautical fiction and authors such as Julian Stockwin, Dewey Lambdin, and Alexander Kent will enjoy this new series. In 1787 when a family of rich, young French nobles are inspired by the Marquis de Lafayette to serve the cause of liberty they travel to the island of St. Lucia to promote freedom from slavery throughout the Caribbean. The head of the family, Anton de Bellecourt, is willing to try diplomacy, but he believes it will take more than talk to achieve success. In secret he is soon distributing weapons to runaway slaves on both British and French islands, using fear of a slave revolution to force plantation owners to change. With plantations burning and owners murdered in their beds, Commander Evan Ross and Lieutenant James Wilton are tasked with finding out who is behind the violence and ending it. But French and American spies are prowling Caribbean waters and more is at stake than Commander Ross knows. With the beautiful former slave Alice the two officers are soon in the midst of a tangled web of conflict and desperate action, as cannons blaze amid bloody struggles for freedom. 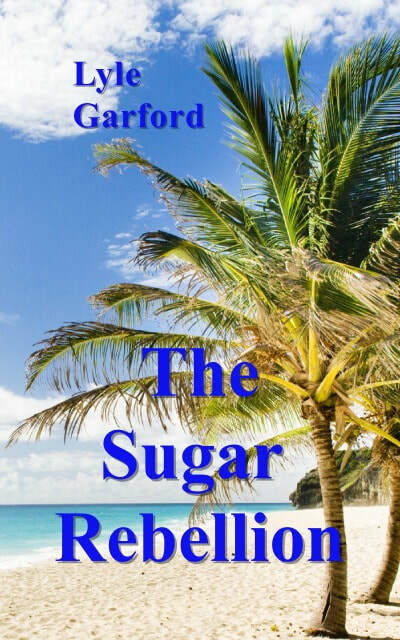 The Sugar Revolution is the second novel in the Evan Ross series. The third novel, The Sugar Sacrifice, is coming soon. The two British officers plot a high stakes rescue to free their people, but more is at stake than they know. Captain Deschamps has hidden the colony's wealth from the new regime and the revolutionary leaders badly need to find it. The two officers are soon in the midst of desperate action to complete their mission, as cannons blaze amid the bloody opening salvos of war.